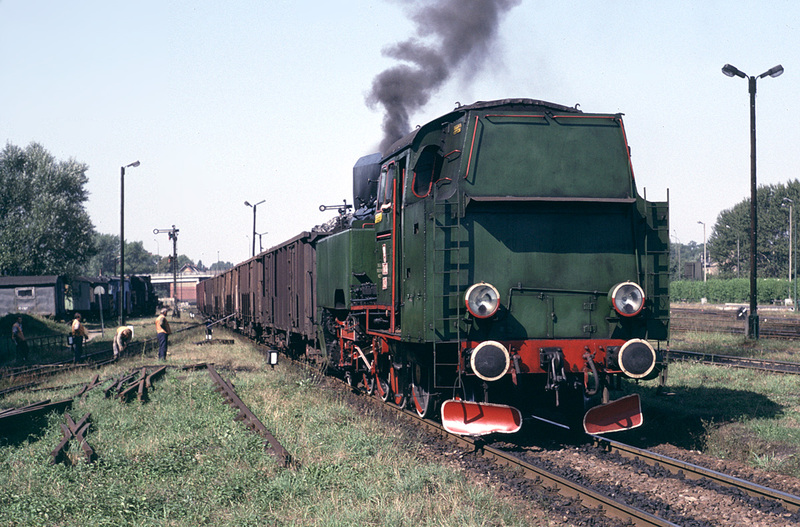 PKP (Polish State Railways) TKt-48-143, a 2-8-2 locomotive, switches the yard in Wolsztyn, Poland on 14 September 1991. At this time, steam was still used on local freight trains serving the 4 lines out of Wolsztyn, as well as for switching freight cars in the small yard. The TKt-48 was a small dual-service locomotive of post-war design, and could be found on both freight and local passenger trains. This locomotive, #143, went out of service in the year 2000 and has not run since.